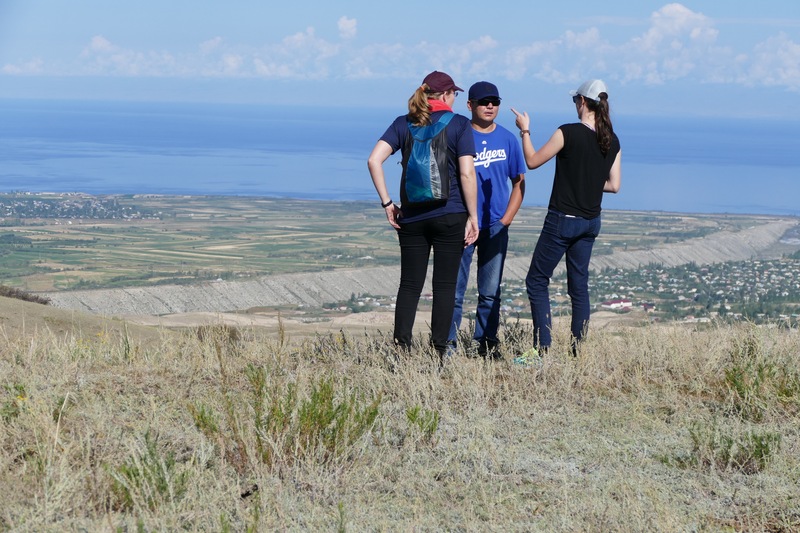 BARSKOON, Kyrgyzstan — Kuban Zholdoshbek is part of a new generation of entrepreneurs in Kyrgyzstan who are seizing opportunities to find markets for products and services. 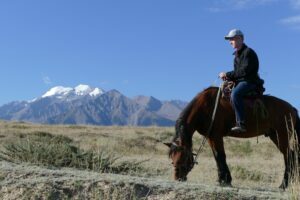 He runs Eco Tourism KG, a small company that provides horse trekking for an international clientele into remote areas of the majestic Tian Shan mountain range, which separates Kyrgyzstan from western China. In these mountains are the elusive snow leopards, lynx, Ibex and other animals that draw environmentally conscious travelers in search of unique adventures. Zholdoshbek, or Zholdosh as he prefers to be called, was born in 1991, the year that the USSR crumbled and the former Soviet states became independent. He has embraced the opportunity to create wealth. He started his business two years ago, after having worked for the valley’s only other trekking company, and is involved in some other business projects with his family. Zholdosh also works part time as a ranger for the park. 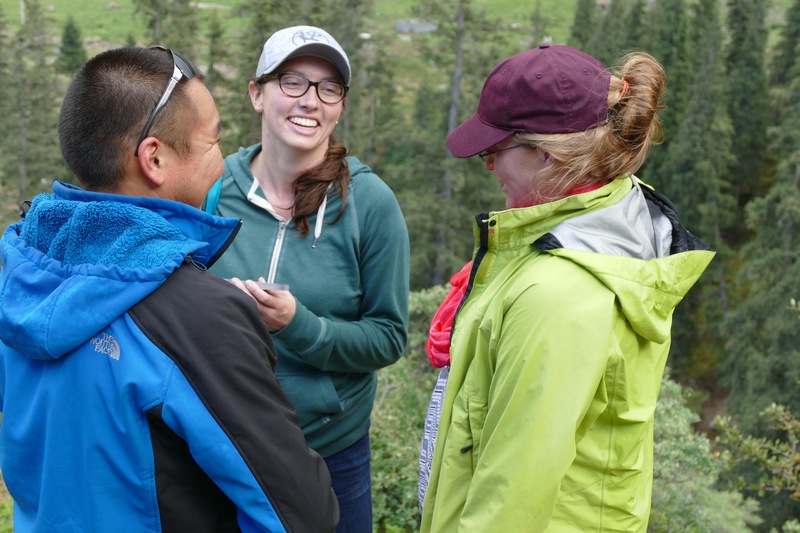 A little over a year ago, Mission Ridge General Manager Josh Jorgensen struck up a friendship with Zholdosh, during a visit by a delegation from North Central Washington led by Cashmere orchardist Randy Smith. The two discovered they have much in common. Zholdosh is trying to tap into the growing market of individuals who are willing to pay for unique adventure experiences that are done in an environmentally sensitive way. 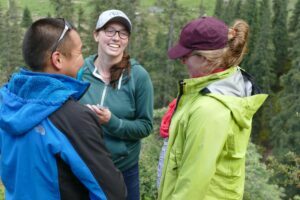 He hosted five of our group at his home in Barskoon and led us on a hike to a waterfall and a horseback riding excursion in the foothills of the Tian Shan mountains. The Tian Shan Mountains are enormous, with peaks rising to 15,000 feet. He told us he has about 19 routes available that he can choose from to satisfy the wishes of client groups who come in search of wildlife like the snow leopard, ibex and lynx. He sees great potential to build a successful business and protect wildlife, which is his job at the Shamsy Wildlife Refuge. Starting a business here is a challenge because of the high level of corruption in Kyrgyzstan, Zoldoshbek said. We heard this from officials and businessmen throughout the region. Reducing corruption is mission critical for the long-term success of the country. Our group had dinner with Muktar Djumaliev, the former Kyrgyzstan ambassador to the United States who visited the Wenatchee Valley a few years ago. Djumaliev is now a consultant with the Asian Development Bank and said he’s hopeful of developing international agreements that will create more transparency in purchasing. That would reduce the opportunity for those in positions of authority to route business to their friends as well as open up the opportunity for competitive bids from other countries.Djumaliev and a growing number of entrepreneurs see the potential for a bright future for Kyrgyzstan by adopting a more market-based approach to the economy. 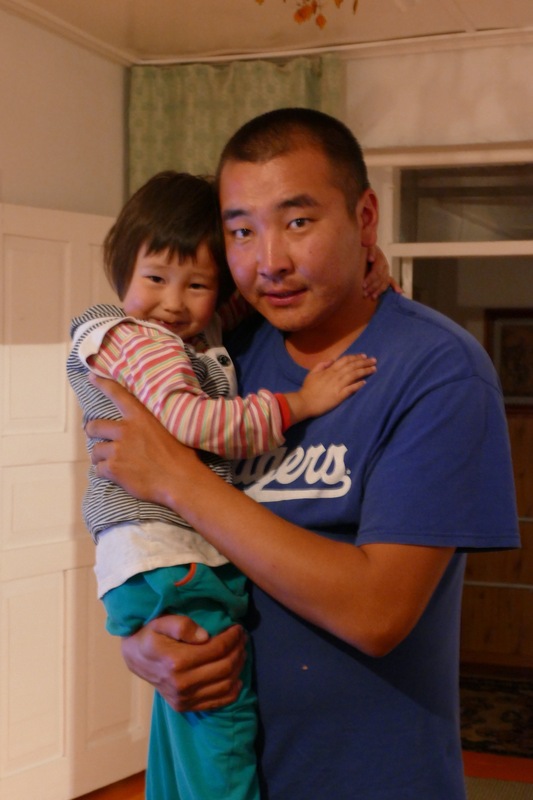 Kyrgyzstan, which is a secular country with a tremendous amount of freedom of speech, is the best hope in the region to create a model of a liberal democracy through partnerships. 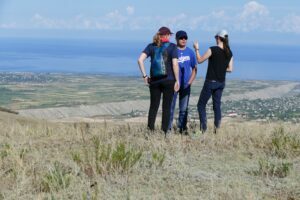 That’s one reason the sister region relationship between North Central Washington and Issyk-Kul state is so important. 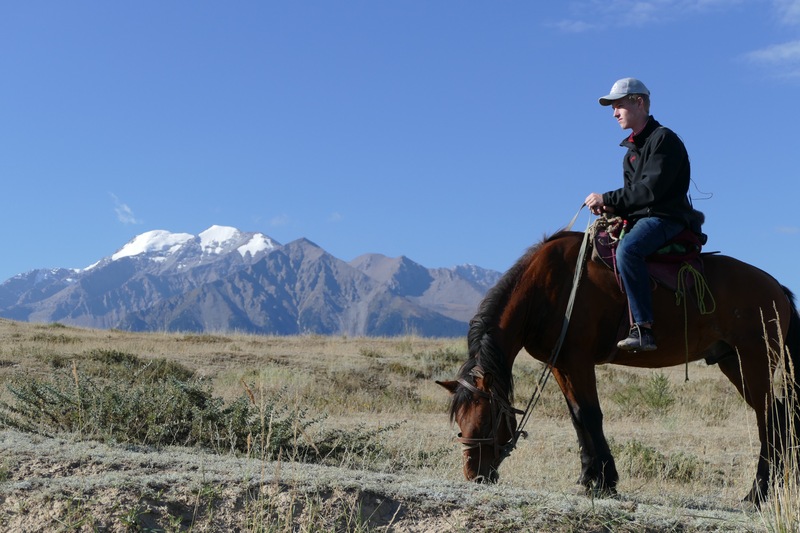 Wil Jorgensen on horseback with the Tian Shan Mountains in the background. 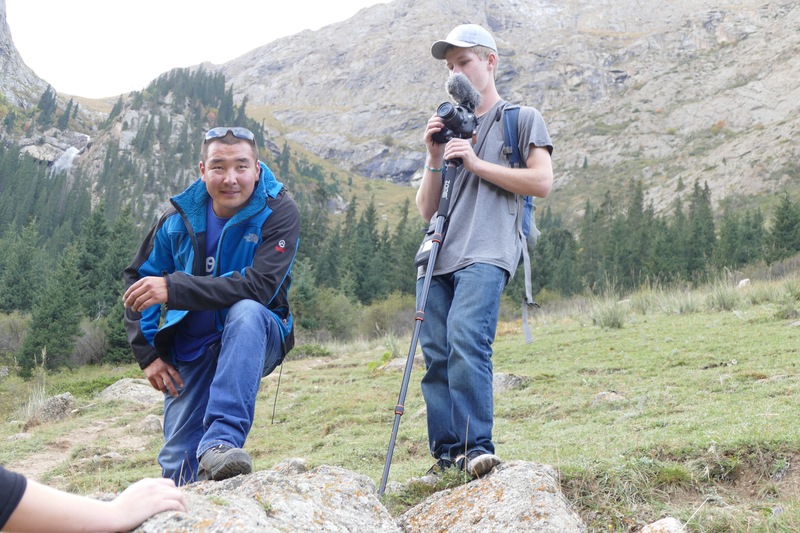 Kuban Zholdoshbek with Wenatchee High student Wil Jorgensen hiking in the Tian Shan foothills.